This 599-page volume categorizes an extensive variety of rotordynamics problems and case studies, from high-speed turbochargers to large turbine generators. The text bridges the knowledge bases of both rotordynamics and bearing design, inseparable in the rotating machinery design process. 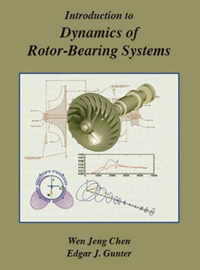 Relying on examples developed from Dr. Chen’s rotordynamics software, Dyrobes, this book will be a valuable resource to all engineers working in rotordynamics. Copies of this volume may be obtained from Rodyn Vibration Analysis, Inc. for $99 plus shipping ($125 on Amazon). For bulk-order discounts contact info@rodyn.com or call 434.326.6797. 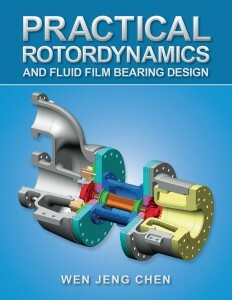 Dr. Chen’s new textbook serves as a complement to the 2007 textbook, Introduction to the Dynamics of Rotor-Bearing Systems, written by Dr. Chen and Dr. Edgar J. Gunter, and outlines in detail the finite element theory of rotordynamics and also of fluid film bearings used in the Dyrobes rotor-bearing dynamics software suite.